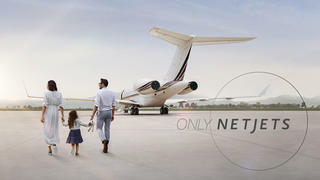 NetJets Europe is the world’s leading business aviation company. Launched in Europe in 1996 and backed by Warren Buffett’s Berkshire Hathaway, the Fractional Ownership Programme provides unmatched freedom and flexibility – all the advantages of owning a private jet, with none of the hassle. In less than two decades, it has proven to be hugely popular with individuals and businesses looking to enhance productivity, work more efficiently, and relax more effectively. We control around 85 European aircraft and make 46,000 flights a year. With access to over 700 aircraft worldwide, NetJets air fleet is three times larger than our four nearest competitors combined. Our pilots are recruited from Europe’s leading air forces and top commercial airlines. We nurture their talent through the most comprehensive training programme in the industry, developed exclusively for NetJets and the demands of private flying. Each year, they spend 50% more time in full-motion flight simulators than most commercial airline pilots. When you fly with NetJets, a sophisticated and complex operation supports every move you make. We employ a team of over 600 operations staff, who oversee an intricate web of scheduling, planning, permissions, crewing, maintenance, safety and security. NetJets safety standards meet, and in most cases exceed, EASA regulatory requirements. From the aircraft we fly to the pilots we employ, NetJets is simply the safest way to fly privately. We fly to 5,000 airports worldwide, including hundreds that simply aren’t available on commercial routes. You’ll leave from the airport closest to you and fly directly to your destination. In many cases, we can cut your travel time in half. NetJets Europe is fully backed by AA+ rated Berkshire Hathaway. In good times and bad, you can be confident that we will continue to spend more on safety and training than any other operator, and that your investment in a NetJets aircraft is supported by one of the world’s strongest companies. Baltic Yachts is the world’s leading boatbuilding yard specialising in high quality carbon fibre yachts, custom made to meet customers' needs in design, performance and technical innovation. 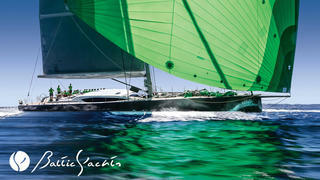 Baltic specialises in sailing and motor yachts up to 60 metres and offers comprehensive service and refit worldwide. 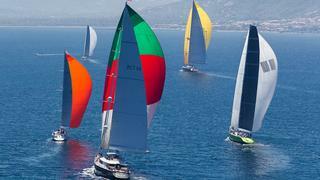 Baltic Yachts is loyal to its core value, which is performance through lightweight construction. With each project there are new challenges, which Baltic aims to turn into new and exciting innovations and breakthroughs within design, research and development. Baltic Yachts is an independent company firmly rooted in Ostrobothnia on the west coast of Finland where its highly skilled workforce benefits from a deep knowledge of boat building enabling almost any sailing dream to come true. Headquartered in Hong Kong, with 14 showrooms across Europe, Asia and North America, the House of Tai Ping covers every sphere of the residential and hospitality markets. 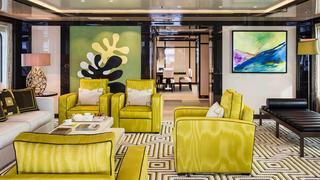 Each of its five distinctive brands – Tai Ping, Edward Fields, La Manufacture Cogolin, 1956 by Tai Ping and Carpets Inter – creates bespoke rugs and textile floor coverings designed and customised to the unique vision of the clientele. Tai Ping has won international renown with its innovation and expertise steeped in a rich history, a celebrated archive, unparalleled design and service to the world’s most discerning clientele. House of Tai Ping extends its cultural legacy into the present, continuing an exceptional tradition of craft and dedication to innovation in every facet of carpet design and manufacturing. This spirit of excellence is evident in each of its products and every aspect of the customers’ experience. Pantaenius, a family business steeped in tradition, has been providing insurance solutions tailored to discerning yacht owners for nearly 50 years. With the introduction of a fixed sum insured independent of current market value in the 1970s, Pantaenius revolutionised the industry and soon became established as the European market leader. Nowadays, 15 offices around the world provide advice and support 24/7 to more than 90,000 customers in eight different languages. An internal claims department guarantees fast and effective assistance in any situation. 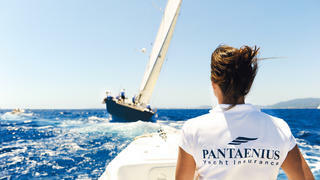 Pantaenius also has a global network of more than 35,000 contacts from the yacht industry and the maritime services sector at its disposal. In these times of ever-growing customer demands and increasingly complex markets, Pantaenius has shown it is continuing to look forward and set benchmarks. Be it hull and machinery insurance, P&I, third party liability insurance or crew cover – Pantaenius guarantees unparalleled financial security and provides clients with a concierge level service model.